As many as 83 per cent of adult Americans drink coffee on a daily basis making America the world’s largest consumers of the dark elixir. Is it merely the caffeine shot that keeps the crowds pouring into their local baristas? Or could it be the potential health benefits of coffee and the caffeine it contains? Let’s take a look at some of the research surrounding this drink and its capacity to prevent or reduce the effects of illness. More specifically, the risk of developing type 2 diabetes is thought to be reduced by higher coffee consumption. Recent research into the health benefits of coffee have shown that those who increased their coffee consumption by one and a half cups per day decreased their risk of type 2 diabetes by 11 per cent. Those who decreased their coffee intake by two cups per day have seen an increased risk of developing the disease. However, the research focused on the effects of black coffee with little to no milk or sugar, therefore you may have to substitute your morning latte for regular black coffee. Research conducted by Driscoll and colleagues published in 2016 showed that caffeine may have a preventative effect on the onset of Alzheimer’s and other cognitive impairment associated with age. Women consuming more than average amounts of caffeine were less likely to develop dementia and other age-related memory problems than those who drank less than average amounts of caffeine. Your daily coffee intake may keep you awake and functioning throughout the day but it may also prevent memory issues later in life. A 2006 study published in the American Journal of Clinical Nutrition showed the effects of black coffee on inflammation. Black coffee contains antioxidants which reduce inflammation in the body which have been shown to reduce the risk of inflammatory disorders such as heart disease. 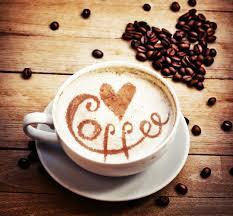 Coffee is also thought to play a role in preventing degenerative diseases such as Parkinson’s. Add natural sweeteners to your black coffee to avoid loading up on sugar or milk and get the full benefits of your morning drink; cinnamon and vanilla are both delicious choices. Based on these findings, it appears that your morning and afternoon coffee could be protecting you from a myriad of complex diseases and ailments. Experiment with different roasts to fully enjoy the benefits of black coffee.